A match between a football club from Spain and Italy, what else can you ask for? This means total excitement!! 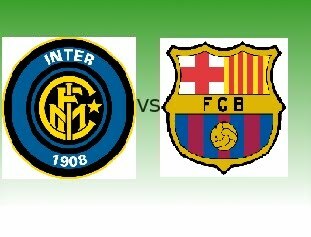 FC Barcelona will meet Inter Milan in the Champions League's 2nd leg match with the hopes to avenge their 3-1 lost in their 1st leg match and go straight to the finals. The match will be on April 28 at Camp Nou, Barcelona giving Barca the home court advantage. I'm betting for Inter Milan... Forza Inter! !